In public service and private practice, in boardrooms and courtrooms, Arturo has supplied the crucial leadership needed to resolve disputes and close deals. As the City Attorney for the City of Houston from 2004 to 2010, Arturo oversaw a 100-lawyer department and led a wide variety of litigation, including construction, commercial, employment, and condemnation, as well as handling matters pertaining to government contracting. 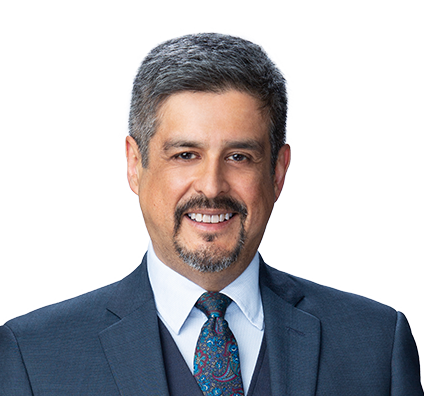 Both prior to and after his stint in public service, Arturo has enjoyed a long and distinguished career in private practice, focusing on litigation, labor, elections, voting rights, redistricting, K-12 and higher education, contracts, and board matters. From 1986 to 2004 he practiced law at Bracewell & Patterson, the last ten years serving as partner. Arturo’s unique mix of public and private experience provides clients with a 360-degree perspective on how to organize and execute large projects and initiatives while complying with the myriad laws and rules that regulate commercial and public-facing activity. Arturo is also a thought leader in the area of professional ethics. He supervised, developed and offered training in open records, open meetings and ethics. He is a past president of the Texas Association of Community College Attorneys and the Hispanic Bar Association.